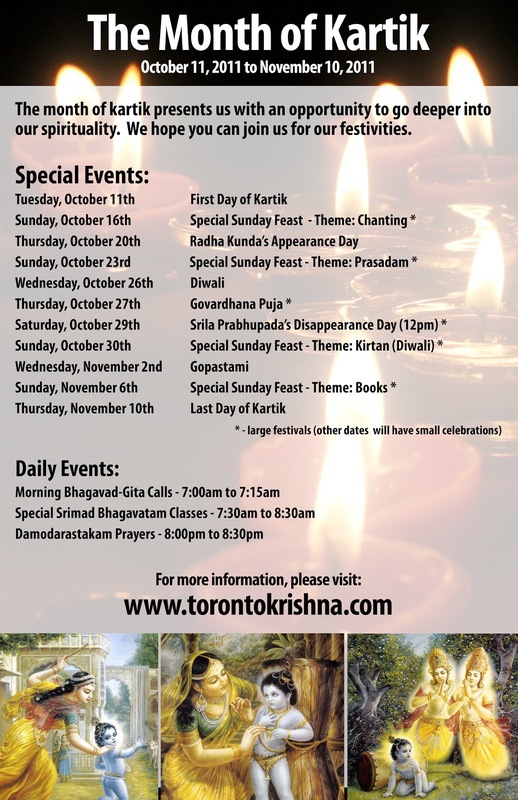 More upcoming events during Kartik! ~ The Toronto Hare Krishna Temple! 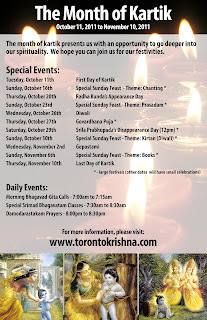 More upcoming events during Kartik! We hope you have enjoyed the past 10 days of Kartik so far. It has been so blissful with the morning Srimad Bhagavatam classes, daily Bhagavad Gita phone conferences, evening Damodarastakam prayers at the temple and much more! The next 20 days promise to be more exciting with a lot of fun festivals coming up!